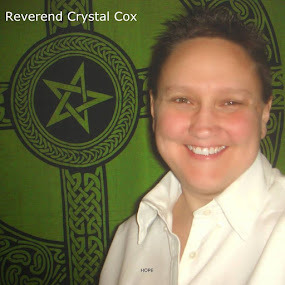 Reverend Crystal Cox, New Earth Ministry; Professional Psychic: How you choose to respond to a circumstance, creates your reality, your timeline. How you choose to respond to a circumstance, creates your reality, your timeline. The feeling in your physical body is your Divine Compass of Truth. Notice your body's reaction, pay attention to how you feel physically and emotionally. This is how you tell the Truth from a Lie (for you), what is of the highest and best for YOU personally in any given choice or situation. You know the TRUTH for you. No master, no healer, no teacher knows your Truth for you. Only YOU know that. However, learning to listen and TRUST YOU is something I have had to actually pay attention to and practice daily. There will be many voices in your head. Also known as Egos. They will pitch different versions, choices, benefits and scenarios to you for every given choice or situation. Listen, don’t listen. However, DO PAY attention to how your body feels about the choice or the ‘’PITCH’’ your EGO or Ego personalities are giving you. If you Truly listen to your body and do NOTHING out of guilt, obligation, what you think other people want, will like or approve of, then you will be attracting on the Timeline you really want to be your ‘’Reality’’, your Life.